Congratulations to three Klein ISD students who earned a spot in a Texas Music Educators Association (TMEA) All-State Ensemble in the first release of names. Nearly 100,000 Texas students start this process with just over 1700 students selected to perform in one of 15 ensembles. These students represent less than 1.8% of the students who begin the tryout process and approximately 0.2% of students enrolled in a high school music class. 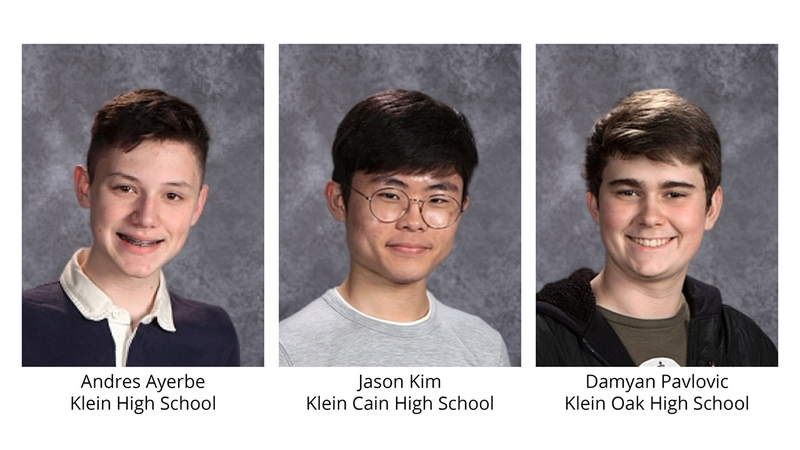 These students will begin rehearsals in San Antonio on February 13th, culminating with performances throughout the day of Saturday, February 16th, to bring the annual TMEA convention to a close. All-State Jazz Ensemble will be announced later in November and All-State Choir and the wind players for both band and orchestra will complete their final round of auditions January 12. If you don’t think there is any correlation between musical and academic success, here are some numbers for you. The average SAT score for a TMEA All-State Student from 2012 to 2016 is 1859.2. That number is 458 points higher than the national SAT average and 518 points higher than the Texas SAT average. These students are talented and smart. All part of the well-rounded, whole child approach to education in Klein ISD.